What better illustration of wood as a fire-resistant material than using it to build a fire station? Gsottbauer architects have built their modern take over two floors and clad the facade in silver spruce, giving a look that is typical of buildings in the rural parish of Gnadenwald in Austria. 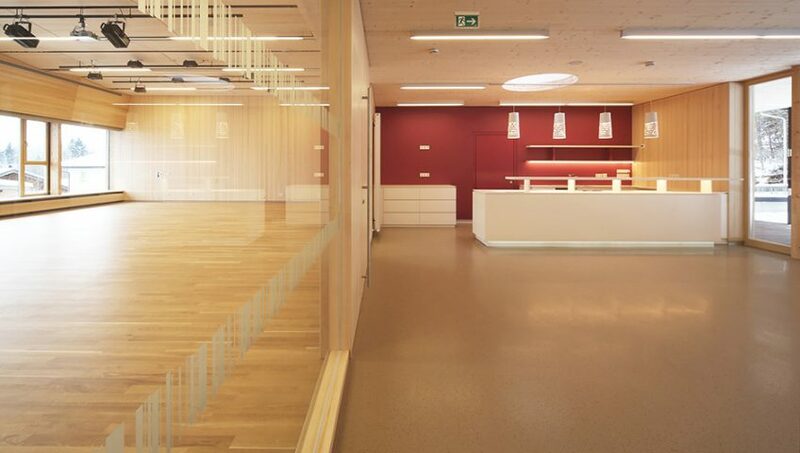 The top floor of the fire station is a popular clubhouse built in cross laminated timber. The fire station proper and vehicle bays are made from reinforced concrete. The interiors on both the ground floor and upper floor have walls, ceilings and floors lined with silver spruce to give a spacious uniformity. The exterior is also clad in spruce panelling. Maintenance-free zinc has been fitted just to a few exposed sections of the roof. A platform for home remodelling and design it is now a community of more than 25 million. This amazing website brings together architects, homeowners and home professionals in a uniquely visual community. It is now used in over 197 countries worldwide and is the perfect tool to showcase the amazing projects we have supplied specialised timber products into. As well as that we have set up inspiration ‘ideabooks‘ that feature incredible timber projects from around the world to spark of great ideas on how you can incorporate timber into your next project. With over 5 million images of home projects from around the world you are sure to find the ideas and inspiration you have been searching for. 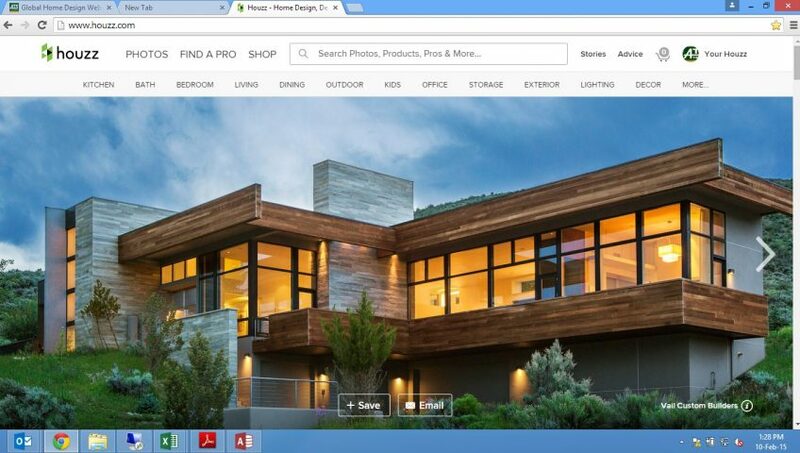 Follow our Houzz Profile today to learn more about out projects and get inspired! The ecocycle and children’s dreams. Wood is more than an important ingredient in environmentally and socially sustainable building. The material also has a uniquely warm look and tactile properties that appeal to children. Let us take you to three different and vibrant preschools, where the focus has very much been on ecolabelled materials and the dreams and needs of the children. Building for children is not easy. Their energy explodes all the boundaries, since they are not yet familiar with the diktat of adult life that you have to spend most of your day sitting still. It is therefore a tough challenge to create architecture for children, something that makes architects self-critically question regular architecture. 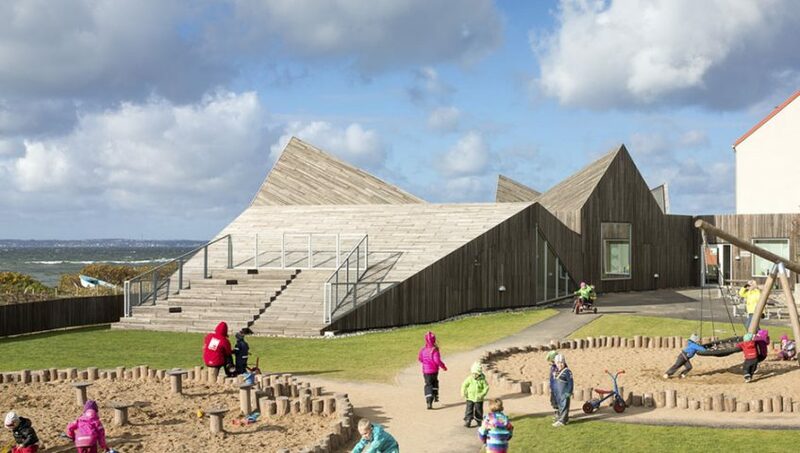 Råå Preschool in Helsingborg, right by the waters of Öresund, looks more like a sculpture than a kindergarten. The school has an unbroken geometric shape with a facade of narrow vertical robinia cladding. Not exactly what you might expect alongside the traditional brick facades of the old school buildings. The interior is at least as fascinating with all its angles and nooks, large windows and triangular lanterns that illuminate the open environment. In an uninsulated side building, the little ones can sleep off their lunch in little wooden wagons, indoors and yet outdoors. “The key is to encourage the children’s motor skills with spaces where they can climb and negotiate steps,” says Pernille Svendsen, architect at Danish practice Dorte Mandrup, which is responsible for this project. Consider using PEFC™ Certified Kingfisher Spruce timber in your next timber project. TED talks are inspirational speeches from leaders, philosophers, writers, artists and designers from all over the world. For the annual TED conference in Vancouver, the 30-year-old organization tried something completely new. 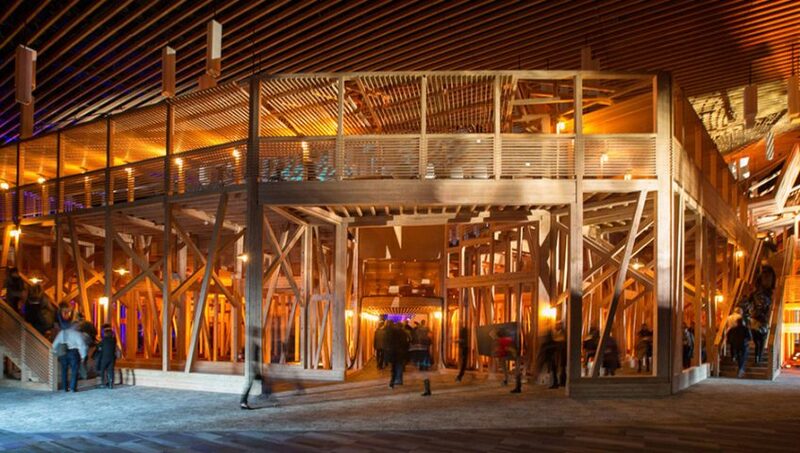 They built its own theatre, a temporary, 20,000-square-foot semi-circular space made of locally forested timber and outfitted with a rainbow of modified office furniture (with sixteen seating options, from beanbags to lounge seating and traditional theatre chairs).